I have a love-hate relationship with the month of January. In December, we were celebrating the holidays and enjoying all of the holiday treats. Now, many of us are realizing that we ate a few too many cookies and are trying to shed a few pounds. Many of us are trying be more mindful of our eating habits. But when it feels like we are living in the arctic and the snow just keeps coming, I don’t want to eat a salad. I still crave warm, filling meals. 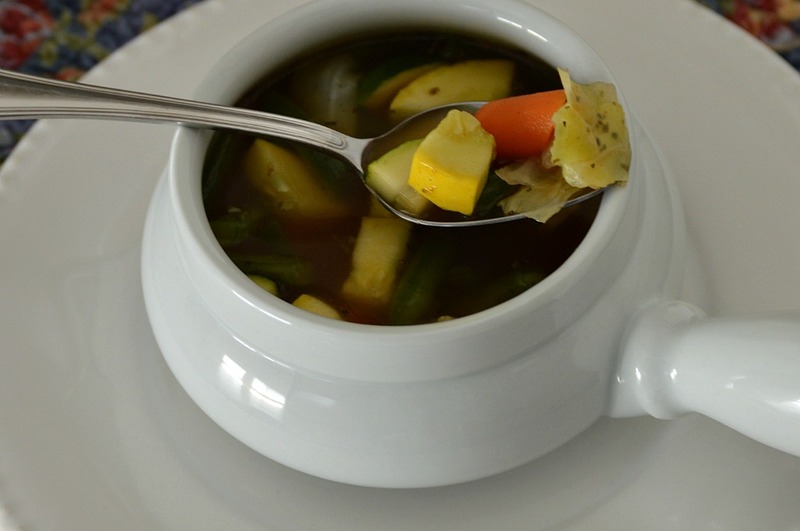 During this dieting season, this Garden Vegetable soup is one of my go-to meals. All natural, gluten-free, full of veggies and flavor, this soup will keep you warm and satisfied on a cold, winter’s day. It only takes about a half an hour to have a homemade pot of soup ready. Make a large pot and enjoy it throughout the week. Pair it with a sandwich or enjoy it alone, this soup makes the perfect lunch. Begin by spraying a stock pot with non-stick spray. 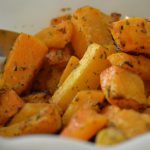 To this pot, add about 2 cups of carrots, peeled and sliced, along with 1/2 large or 1 small onion, chopped, and 1 clove of garlic, diced. Saute this mixture for about five minutes. Add 6 teaspoons of vegetable bouillon, 1 teaspoon of Italian seasoning, and 6 cups of water to create a broth. Bring this to a boil and simmer for about 10 minutes. Lastly, add in your vegetables. I like to add frozen, cut green beans, cubed yellow squash and zucchini, as well as some shredded cabbage. Simmer for about five more minutes. Serve hot. 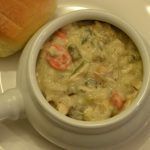 If you are looking to eat a little healthier in the new year, give this soup a try. Let me know what you think! 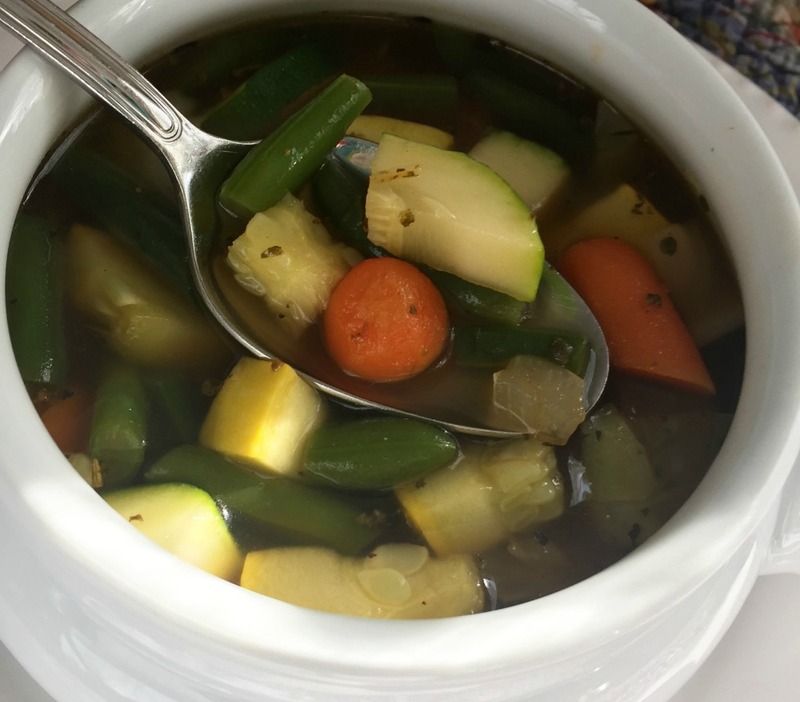 This Garden Vegetable soup is one of my go-to meals. All natural, gluten-free, full of veggies and flavor, this soup will keep you warm and satisfied on a cold, winter's day. Begin by spraying a stock pot with non-stick spray. 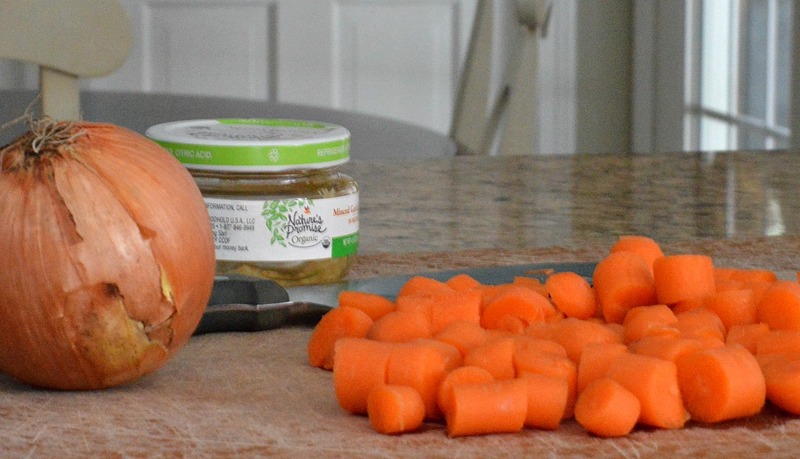 To this pot, add ½ bag of baby carrots, sliced, an chopped onion, and 1 clove of garlic, diced. Saute for about five minutes. 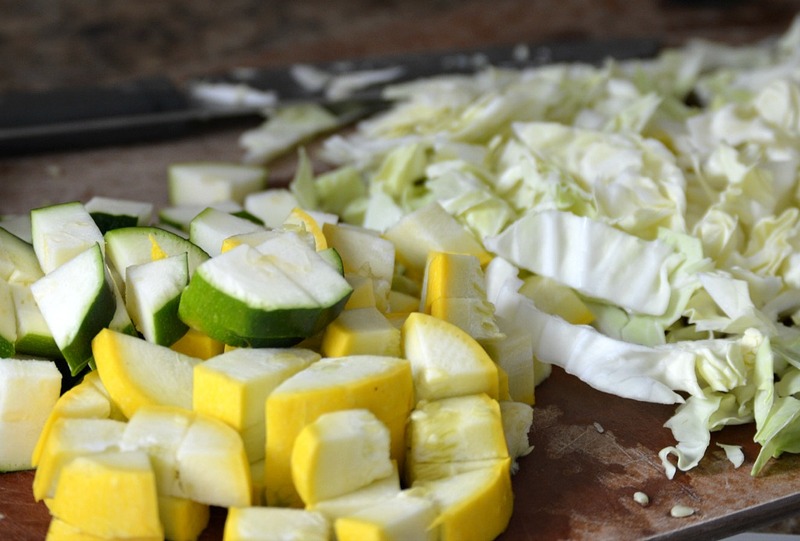 Lastly, add in your vegetables: cut green beans, cubed yellow squash and zucchini, as well as shredded cabbage. Simmer for about five more minutes. 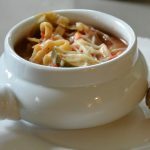 Nothing better than a good soup recipe when the weather turns as cold as it is now! I love how quick and easy it is to make veggie soups like this! This looks so good! 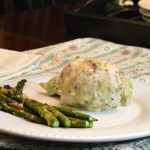 I am battling a cold right now and craving recipes like this. I will have to try it soon! All those vegetables are perfect for this time of year! Looks delicious.